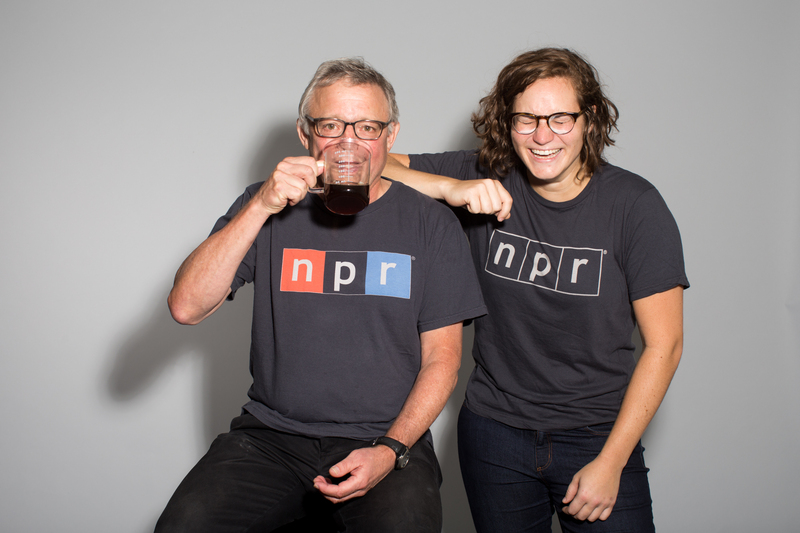 NPR science correspondents Joe Palca and Maddie Sofia will visit Kansas State University as part of Science Communication Week. They will give public presentations and offer workshops for students, faculty, researchers and communicators. Photo courtesy of Meredith Rizzo/NPR. | Download this photo. 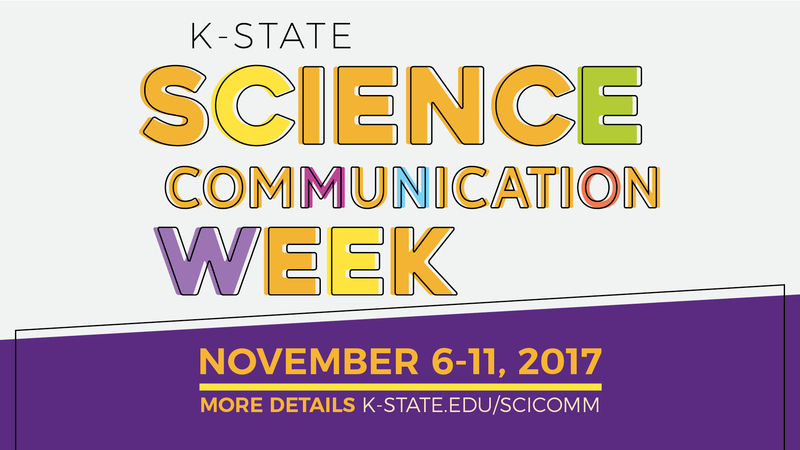 MANHATTAN — To communicate science and celebrate big ideas, Kansas State University and community partners have organized the first Science Communication Week from Nov. 6 to 11. Highlights of the week include NPR science correspondents Joe Palca and Maddie Sofia and National Geographic photographer Jim Richardson. Palca will present "Explaining the universe in two minutes or less" at 5:30 p.m. Thursday, Nov. 9, in Forum Hall at the K-State Student Union. Richardson will present "Seeing science (and telling the tale)" at 7 p.m. Monday, Nov. 6, at the Flint Hills Discovery Center. Both events are free and open to the public. Science Communication Week is part of the Kansas Science Communication Initiative and will incorporate other events such as Research and the State, Science Café, Science on Tap and Science Saturday. The Kansas Science Communication Initiative, or KSCI, brings together Kansas State University and the community to engage people in talking about science and research. Community partners include the Sunset Zoo and the Flint Hills Discovery Center. "We're using Science Communication Week to provide opportunities for K-State students, faculty and scientists to learn how to best communicate their research," said Michael Herman, associate dean of the Graduate School and one of the event organizers. "We organized the week to jump-start these conversations and let folks know about all the opportunities we have to talk about science." "Science Communication Week is KSCI's first major collaborative since organizing this past spring and summer, and it will provide a foundation for moving our collective work further around science communication in our community and region," said Jared Bixby, curator of education at the Sunset Zoo. Throughout the week, Palca and Sofia also will conduct workshops for students, faculty, researchers and communicators. Interested participants can register and RSVP for the workshops at k-state.edu/scicomm/events. Palca joined NPR in 1992 and has covered a range of science topics — from biomedical research to astronomy. He currently is focused on the eponymous series, "Joe's Big Idea." Stories in the series explore the minds and motivations of scientists and inventors. Palca and Sofia organize Friends of Joe's Big Idea, or FOJBIs, which helps researchers improve their science communication skills. There are more than 500 FOJBI communities through the U.S., including one at Kansas State University. Science Communication Week is sponsored by the Office of the President, the Office of the Provost and Senior Vice President, the Office of the Vice President for Research, the Graduate School, the Center for Engagement and Community Development, the Division of Biology, the A.Q. Miller School of Journalism and Mass Communications, the Division of Communications and Marketing, the Department of English, Sunset Zoo and the Flint Hills Discovery Center. Science Communication Week highlights include the following events. For a full list of events, visit k-state.edu/scicomm/events or check the Kansas Science Communication Initiative Facebook page at facebook.com/KansasScienceCommunicationInitiative. • Monday, Nov. 6, 7 p.m., Flint Hills Discovery Center, 515 S. Third St., Manhattan, "Seeing science (and telling the tale)" with National Geographic photographer Jim Richardson. Presenting images and their stories, Richardson will share his National Geographic career covering science stories ranging from neolithic archeology, soil, agriculture and feeding the planet, geology in the Scottish islands, genetically modified foods, prairie ecology, light pollution, dark skies and more. • Tuesday, Nov. 7, 7 p.m., Radina's Coffeehouse and Roastery, 616 N. Manhattan Ave., Manhattan, Sigma Xi Science Café: "Genomes, body plans, birth defects (and sea squirts!)" with Michael Veeman, assistant professor of biology. Learn how research in diverse model organisms is illuminating embryonic development and why it is relevant to diseases like birth defects and cancer. • Wednesday, Nov. 8, 10:30 a.m. to 3:30 p.m., USDA-ARS Center for Grain and Animal Health Research Open House, 1515 College Ave., Manhattan. Learn how Manhattan's largest structure and the research tools inside help improve the lives of the public at the open house for the U.S. Department of Agriculture Agricultural Research Service, USDA-ARS, center. • Wednesday, Nov. 8, 7 to 8:30 p.m., Tallgrass Tap House, 320 Poyntz Ave., Science on Tap: "Avoiding Controversy When Covering Controversial Science" with NPR science correspondent Joe Palca. Some science topics have become hot-button issues because they touch on politically or socially sensitive issues. How do you present these topics in a way that avoids appearing partisan? Palca will try to provide some answers to that question. • Thursday, Nov. 9, noon to 5 p.m., K-State Student Union, Research and the State. Join the Graduate Student Council and the Graduate School as they host the 2017 Research and the State event. This campuswide research forum will provide an outlet for graduate students to share how their research is important to the state of Kansas. • Thursday, Nov. 9, 5:30 p.m., Forum Hall in the K-State Student Union, "Explaining the universe in two minutes or less" with NPR science correspondent Joe Palca. The news media is frequently accused of "dumbing down" science, but that's an unfair criticism. Palca will provide examples of reporting on complex science topics and show how to pack information into two minutes. A reception and exhibition will follow the presentation. • Saturday, Nov. 11, 1 to 3 p.m., Sunset Zoo, 2333 Oak St., Manhattan, Science Saturday. Science Saturdays offer families and guests of all ages fun, hands-on activities to discover this fascinating world. Featuring the Science Communication Fellows, this come-and-go event shares their research in a unique and exciting way. The zoo will offer free admission in honor of Veterans Day. Kansas State University, the Sunset Zoo and the Flint Hills Discovery Center have organized the first Science Communication Week from Nov. 6 to 11 to celebrate big ideas.